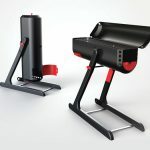 INDEED Innovation developed “the social barbecue” on behalf of the Scandinavian product developer Unikia. 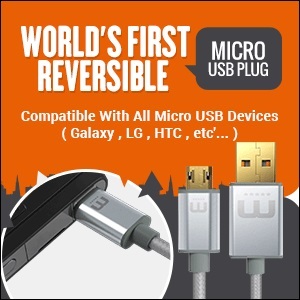 The device is available under the brand name “Well Done” since early July. 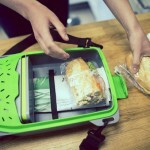 “Together – not alone” would be an appropriate slogan to describe this product innovation. 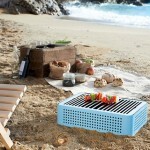 The elegant charcoal barbecue for table use strongly differentiates itself through its social aspect. 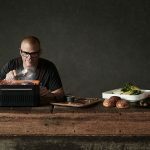 In contrast to conventional charcoal barbecues, there is no need for a “grill master”, who is usually prone to take all responsibility, apart from the company at table. 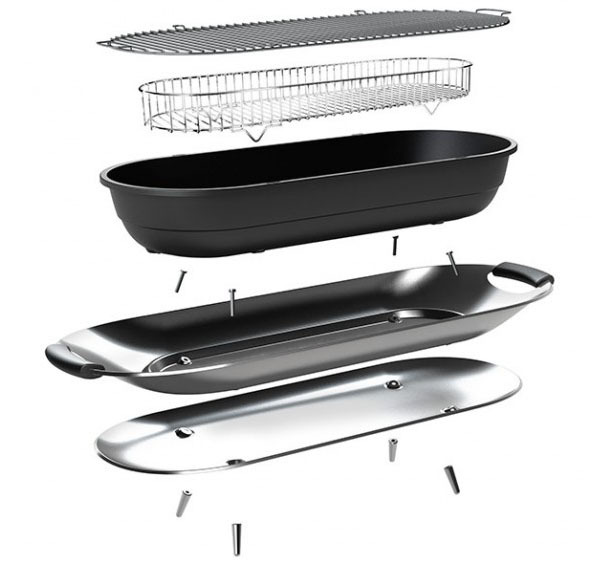 The elongated form of the barbecue makes it accessible for every guest at the same time. 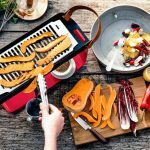 Similar to known raclette devices or fondue pots, it fosters a cozy and convivial atmosphere, also whilst the food is prepared. 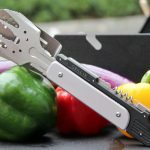 This creates a completely new BBQ experience. 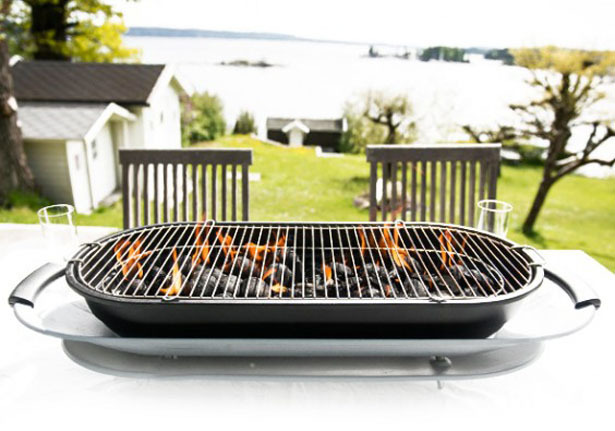 With its sophisticated, fireproof stand the barbeque can be placed on pretty much any table without any danger; even a white tablecloth is a no-brainer. 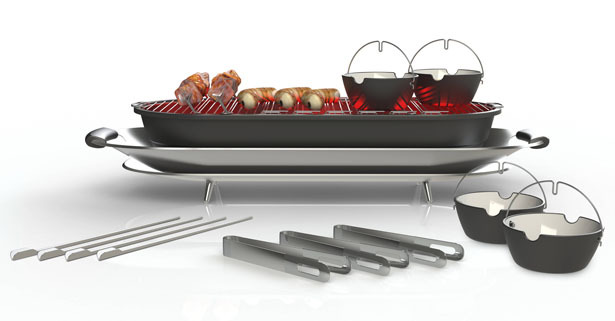 The stylish equipment, such as a set of barbecue tongs and special cone shaped skewers amongst other details, complete the overall concept. 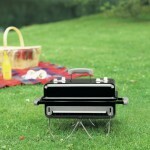 The tabletop barbecue has a foldout holder to securely bear the skewers while eating. 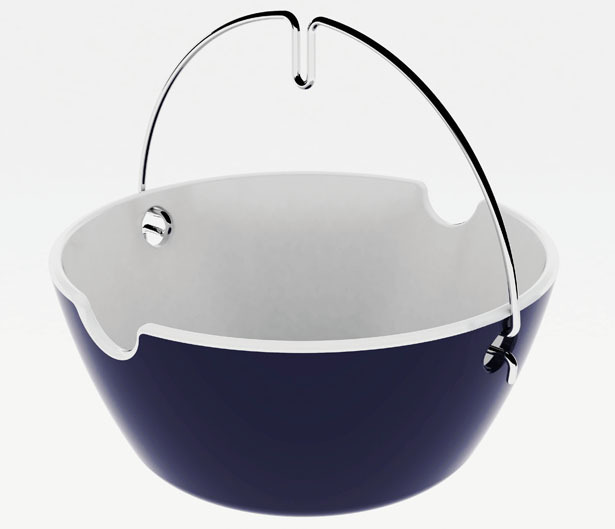 A special extra are the fireproof ceramic bowls, which every guest can use as a personal cooking pot. 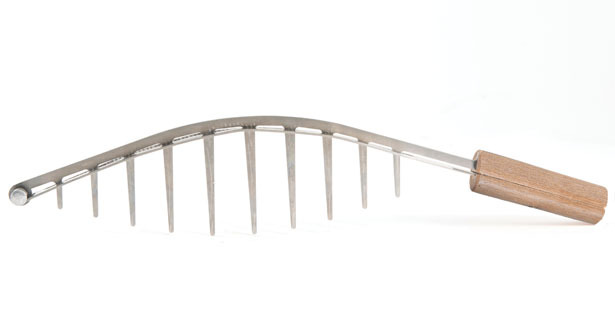 In addition, arched handles of the tongs guarantee the food to have a safe journey from grill to plate. 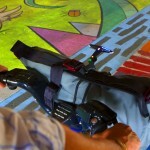 It is not a coincidence that the complete set is such a coherent concept: INDEED, being a specialist in innovation consulting, product design and engineering, was responsible for the whole design process and thereby delivers the full innovation roadmap as if made from one piece – starting with the first sketch, up to the detailed production documentation for the manufacturer. The service includes all steps of the design process, such as ideation, user-research, workshops, conceptualization, elaboration and refinement. Tuvie has received “Unikia Social Grill” project from our ‘Submit A Design‘ feature, where we welcome our readers to submit their design/concept for publication. We just got one a week ago and used it twice since. I was a bit sceptical about actually putting it on the table, but it works great. The smart skewers are good for letting the kids use them, they can have some safe fun poking stuff onto the prongs and grilling it. Makes them eat more veggies, too. 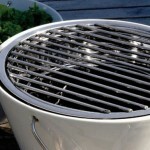 Where can you purchase this table grill?